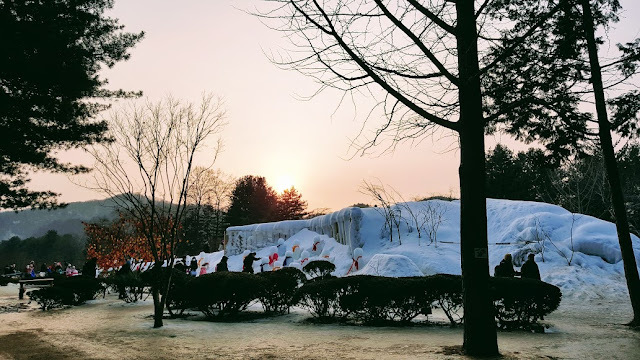 Finding outdoor activities during winter day is a struggle as sorting out a trip and planning for a getaway are ain’t no easy. 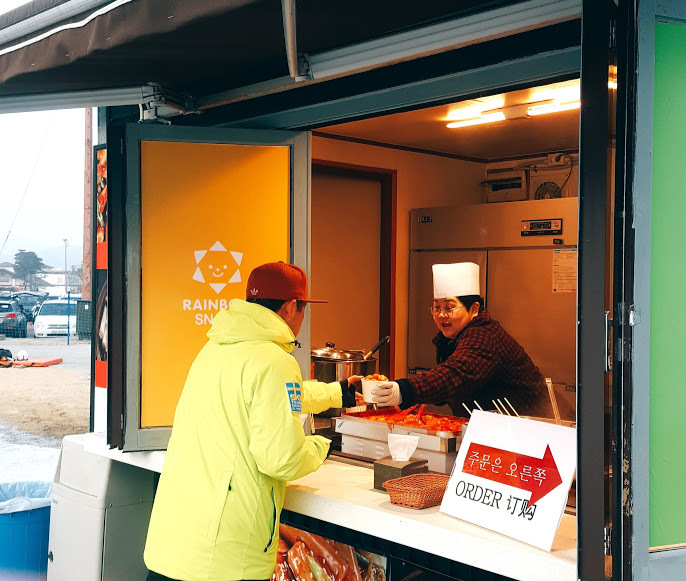 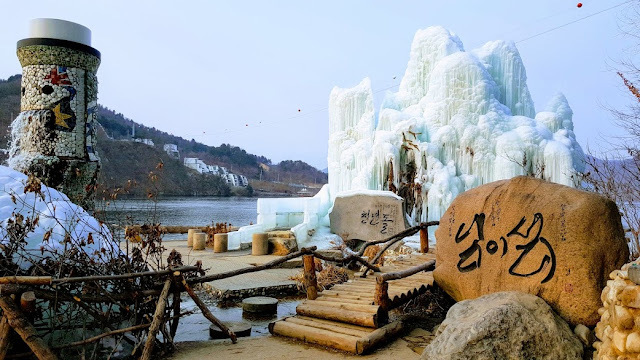 When we were looking for a ski trip near Seoul, Trazy.com, an English friendly touring booking website came right on time and offered us a 2 Days 1 Night ski package to Elysian Gangchon Ski Resort with an option to Nami Island. 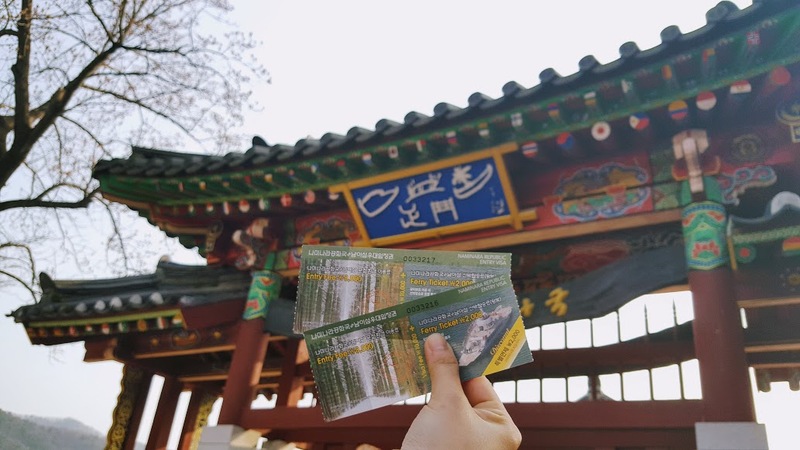 Thanks to Elysian & Nami Island tour package, it is much more easier for us to travel. 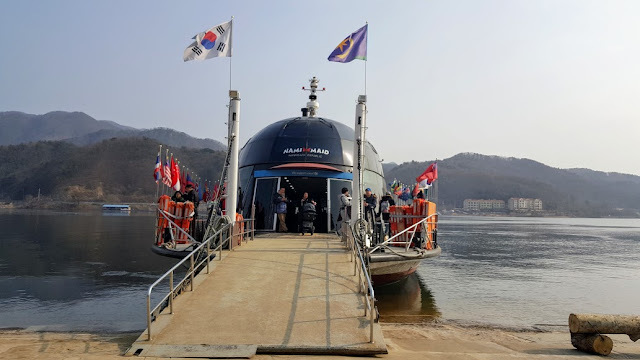 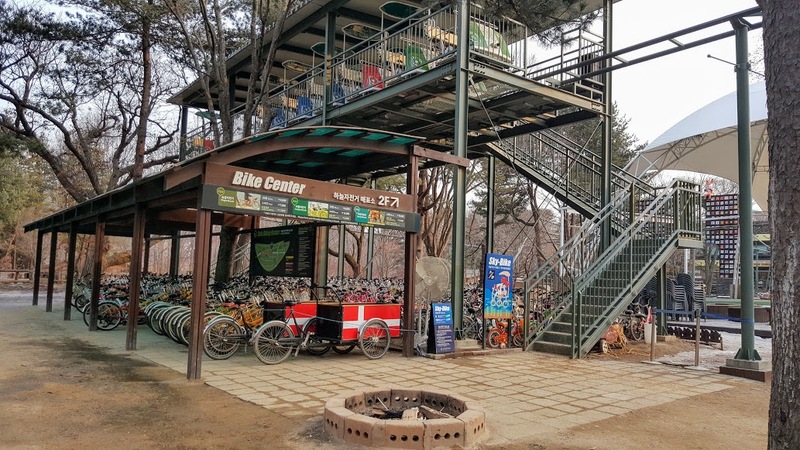 The package covers transportation, pick up/drop off services, 1-night stay at a pension near Elysian Gangchon Ski Resort, ski gear (ski/snowboard, ski clothes), lift pass (rides to the mountain to ski), entrance fees and ferry ride to Nami Island. 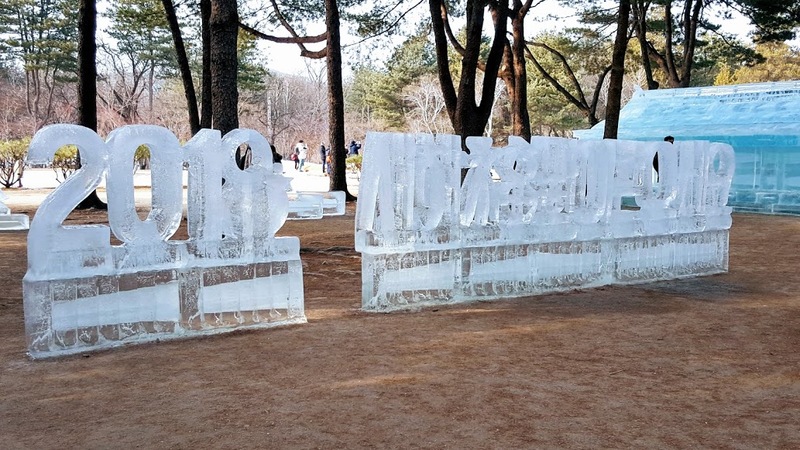 So, let’s start our ski and Nami Island weekend getaways. 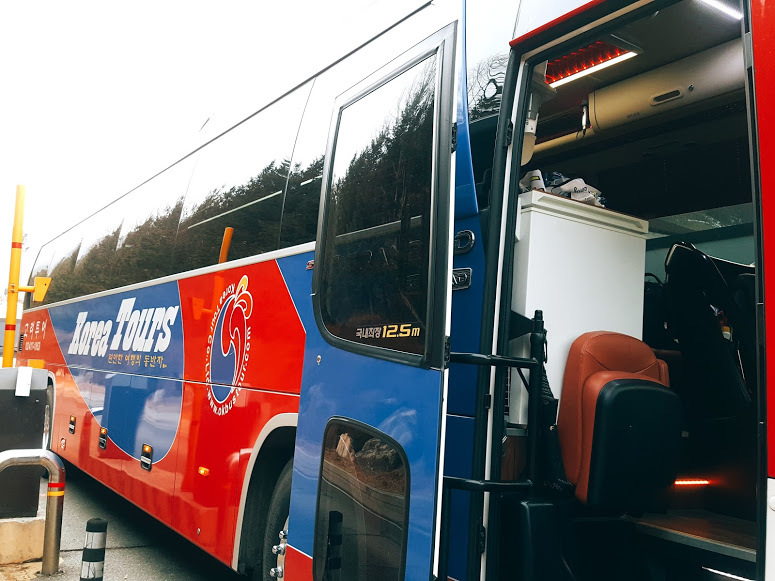 Our tour began with a pickup service at Hongdae, exit 8 (ps: Myeongdong and Dongdaemun pick-up services are available as well). 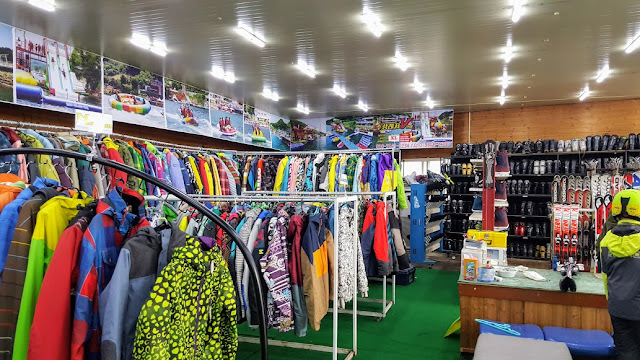 After 1.5 hours drive, we arrived a ski shop and picked up our ski clothes before heading to Elysian Gangchon Ski Resort. 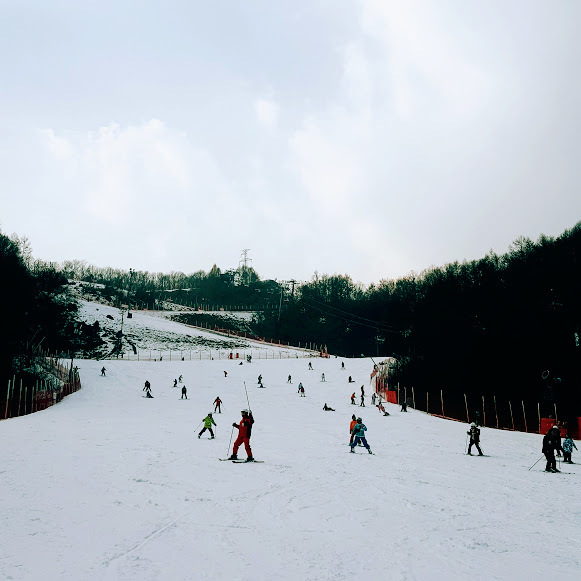 We chose ski for the1st-day and snowboarding for the 2nd-day. 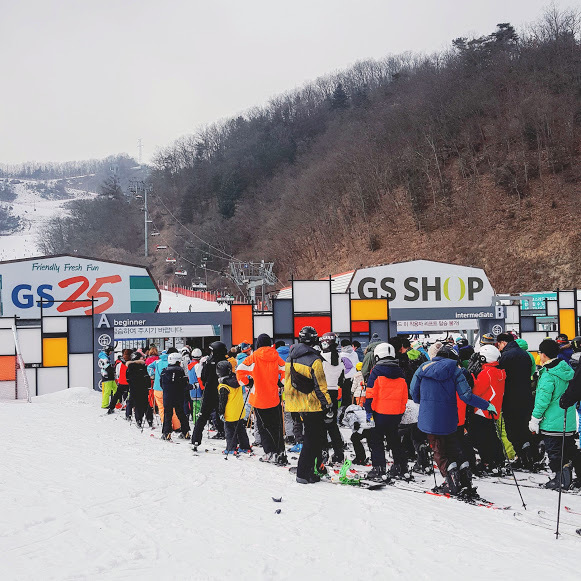 The main reason why Elysian Gangchon Ski Resort has selected as the best place to ski it's because it provides a number of ski slopes that suitable for all skiers. So, worry-free if you’re first time skier as the bunny slope is available for you. 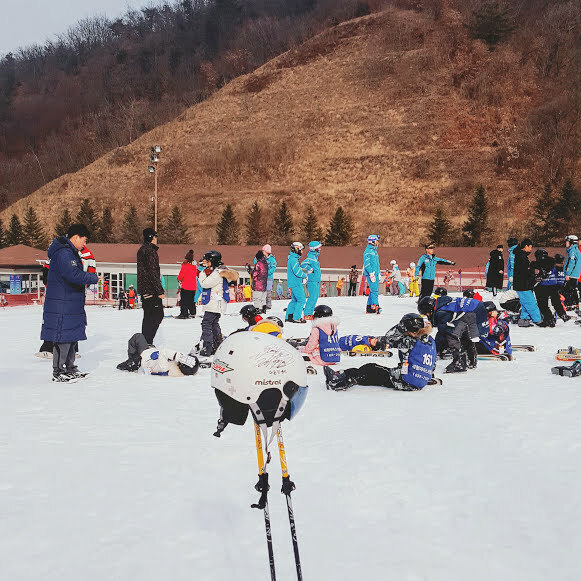 We started off at the bunny slope where most of the first time skiers crowded there to get their first move (ps: be extra cautious when riding down the slopes as first time skier riding behind might accidentally bump into you). After getting used to the ski equipment we then took a ride to the beginner slope and enjoyed the downhill run from the top. 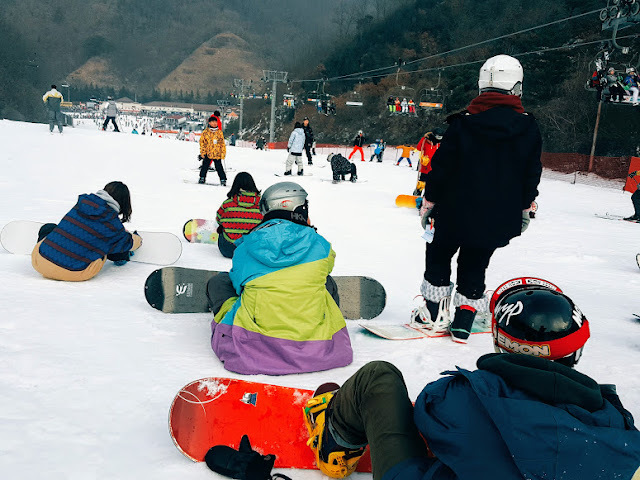 Don’t worry if you have no basic skill on skiing because Trazy.com provides private and group lessons too. 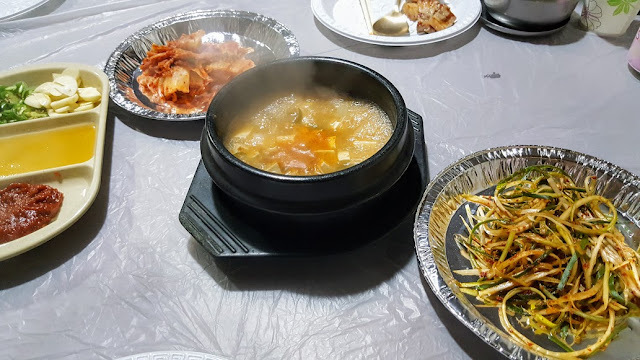 Many would ask how about food? 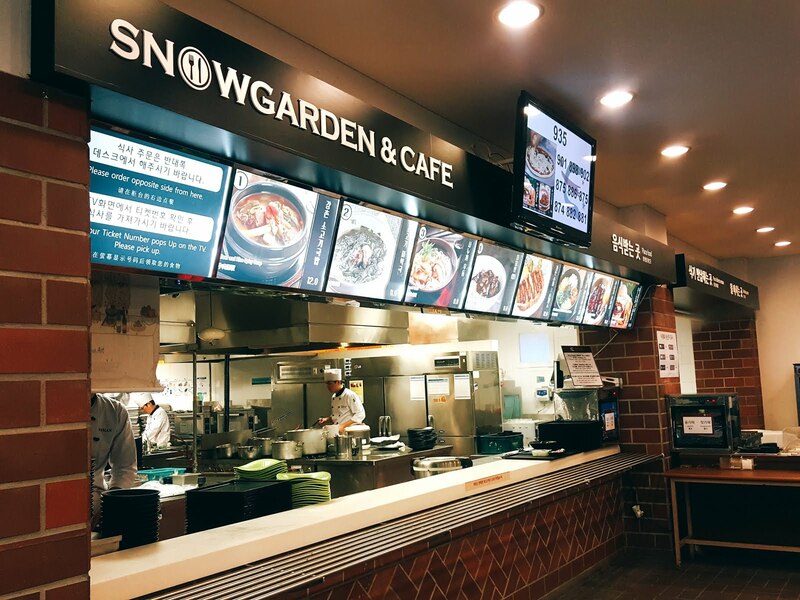 Although the Elysian package did not include lunch but there are restaurant and food stalls available at the ski resort. 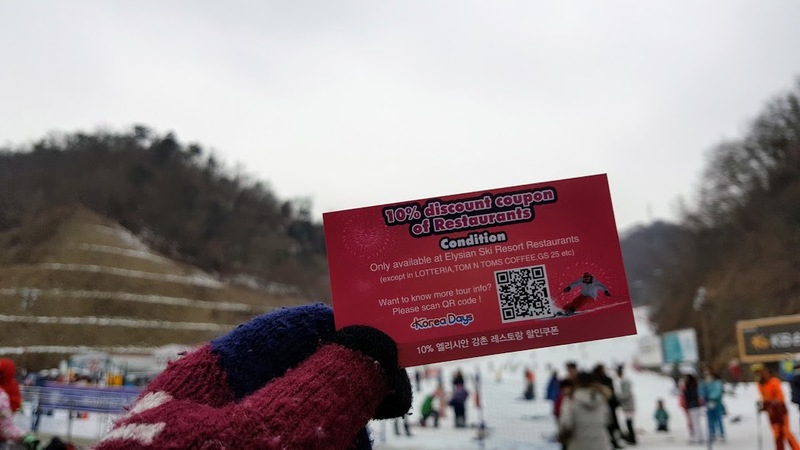 A 10% off discount coupon was given by the tour guide and we did enjoy our lunch at a cheaper price. 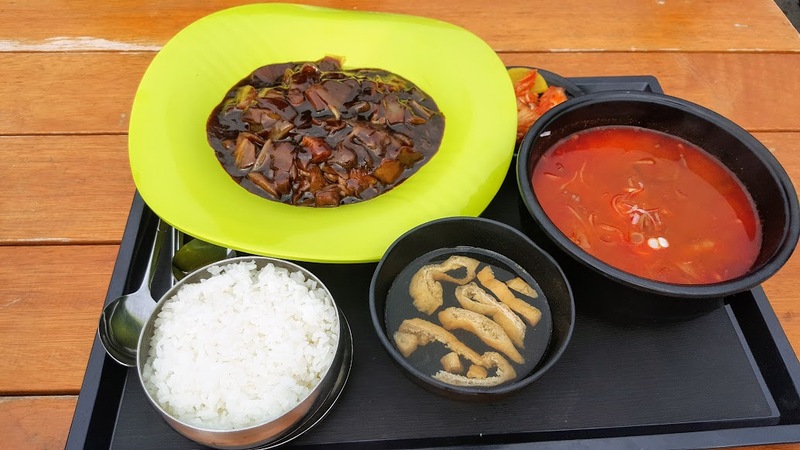 If you did not order the BBQ dinner, you can buy your own ingredients and rent the charcoal grill at 15,000won (RM60). Thanks to Trazy.com, we had a pleasant barbecue dinner which ogyeop-sal, soft tofu stew, grilled sausages and mushrooms were served. The pension? 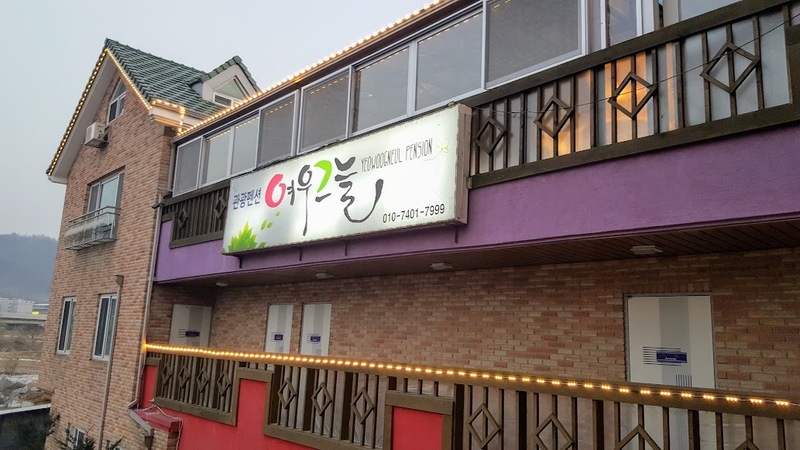 Yes, we were satisfied with the friendly staff and the well-equipped room. Look at the princess-like room that equipped with TV, heater and most importantly free Wi-Fi service. 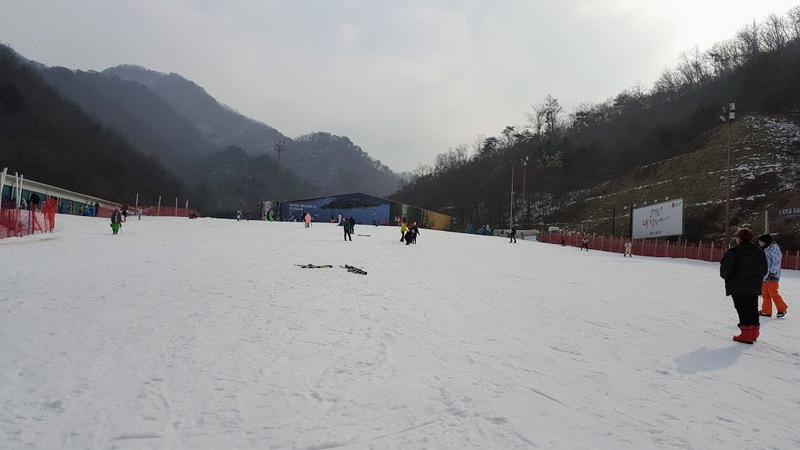 In the next morning, we back to Elysian Gangchon Ski Resort and started our first time snowboarding experience. 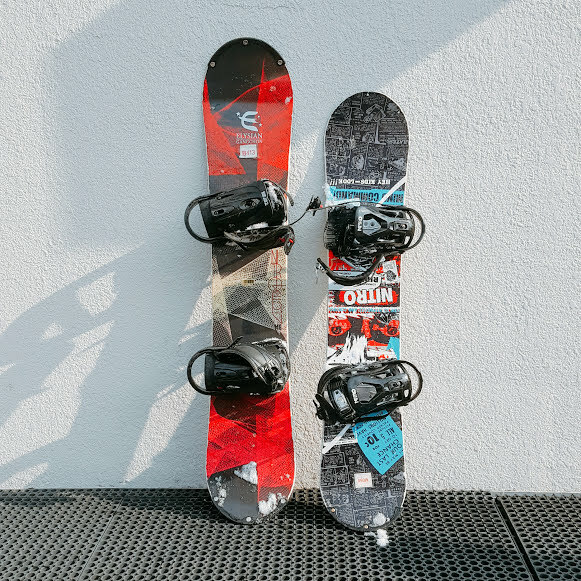 Unlike skiing, learning snowboarding is much harder for us. 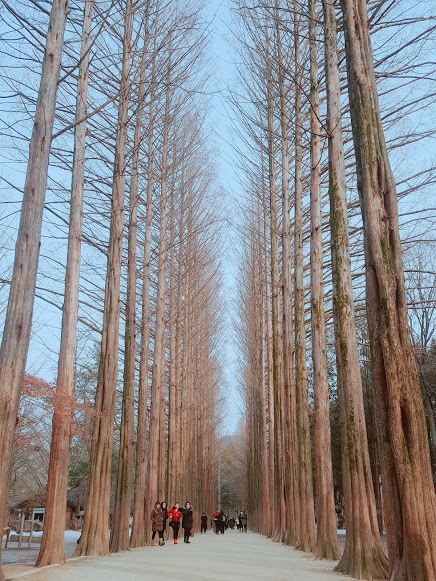 It took us a long process to learn and keeping our body balance. 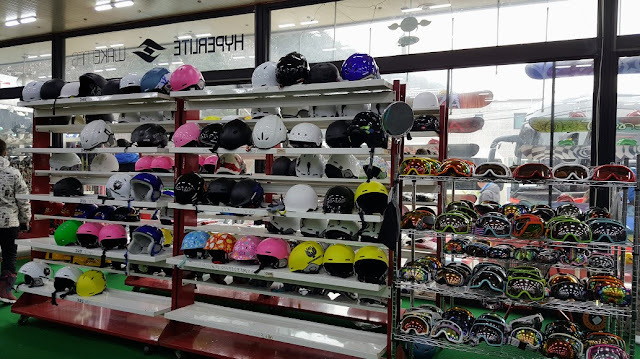 (ps: if you know how to surf, imagine learning it without the water ><) After a few try on snowboarding, we then returned our ski gear and getting ready to explore the half day trip to Nami Island which is just 30minutes away from the ski resort. So here comes the half day trip to the wonderland, Nami Island. We took a quick ferry ride from Gapyeong Ferry Wharf to Nami Island. 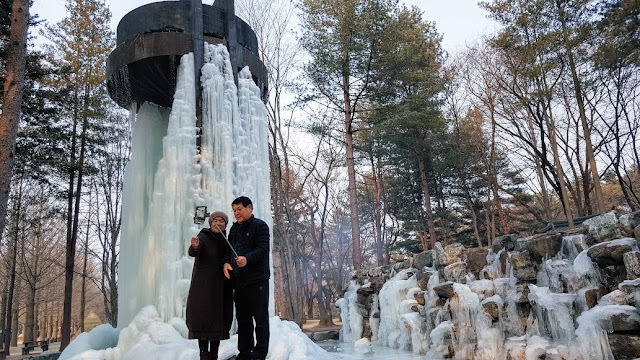 Full of 'Winter Sonata' memories - the future Bae Yong Joon & Choi Ji Woo? The winter wonderland, Nami Island has been used for various Korean romance dramas and it is popularised by one of the iconic Korean drama, Winter Sonata. Do spot the drama scenes while walking through Nami Island and remember to strike a pose like Bae Yong Joon & Choi Ji Woo’s life-size copper statue. 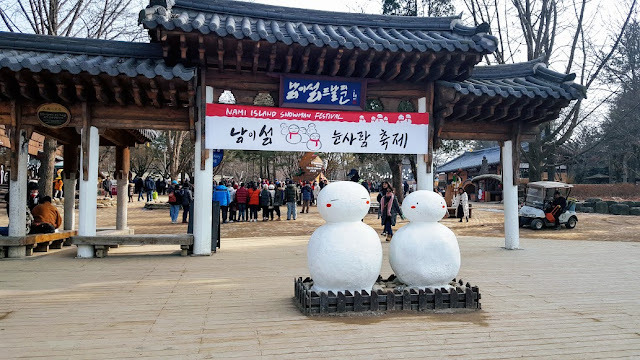 (ps: we couldn't find the statue, so be sure to check it out during your visit and share us the picture!) 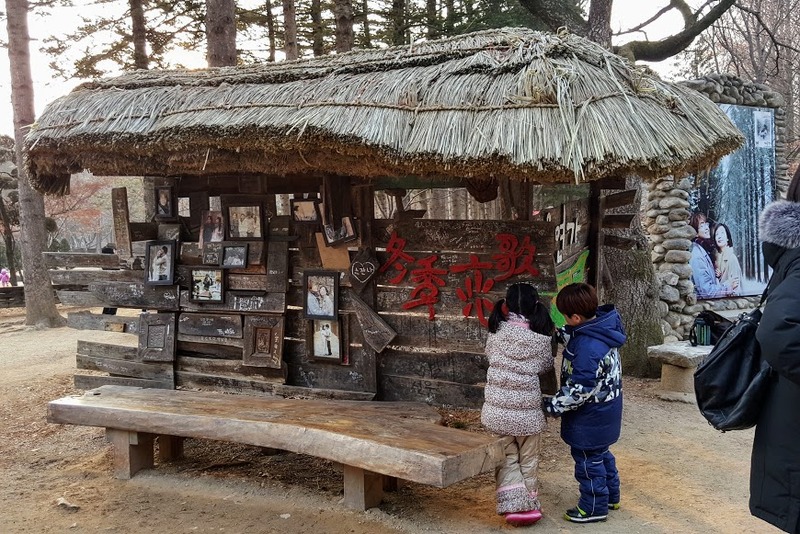 If you’re not familiar with the drama, no worries, as Nami Island offers more than you imagine. The picture-perfect scenery all year around is the best reason for a visit. 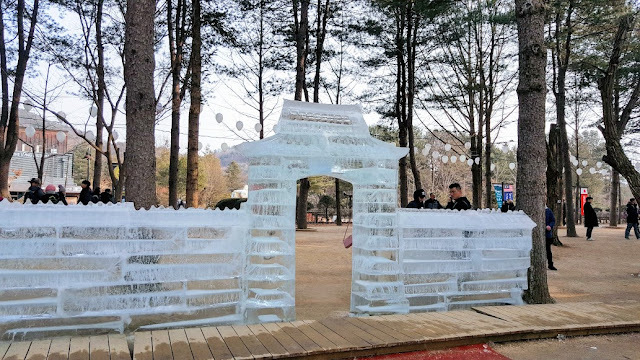 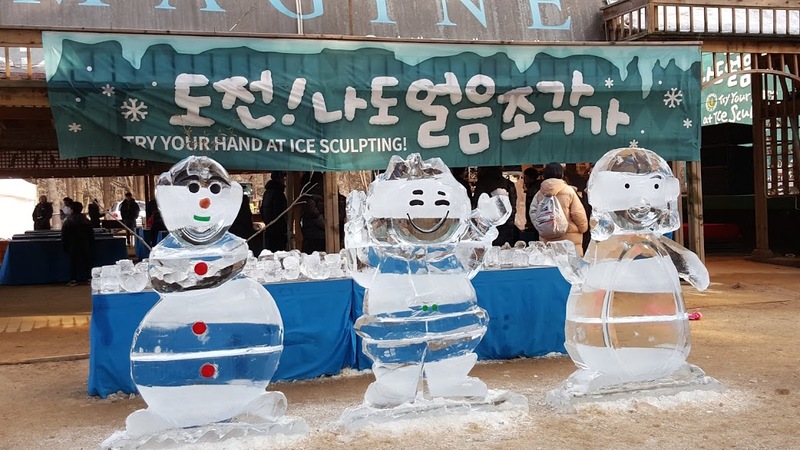 This winter, Nami Island has it's own Snowman Festival which offers unique ice sculptures, free sledding and other winter-only activities. 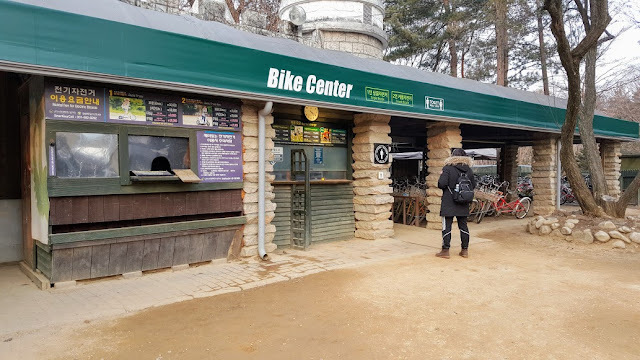 Pictures speak more than words! What to do/see/eat at Nami Island? Challange yourself and make your own ice sculpture for FREE. 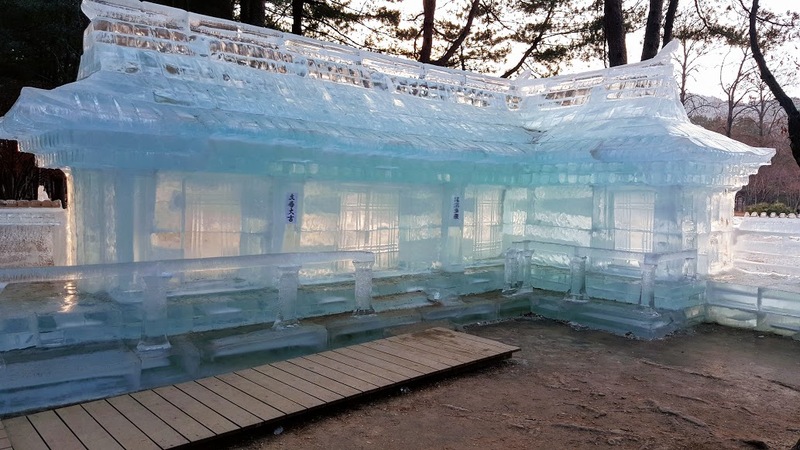 Experience Nami Island in a different way! Bicycles are available for rent. 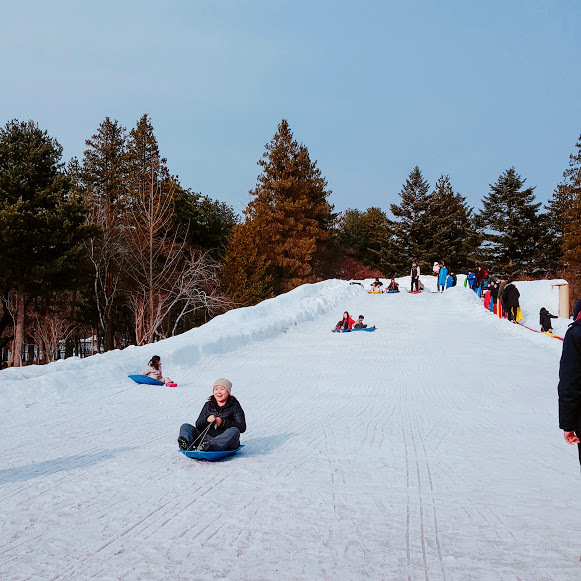 How can we say no to sledding? 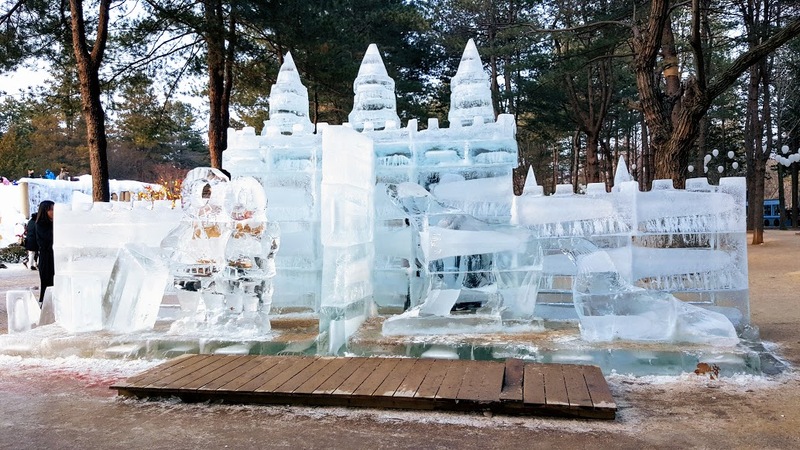 People of all ages enjoyed it! 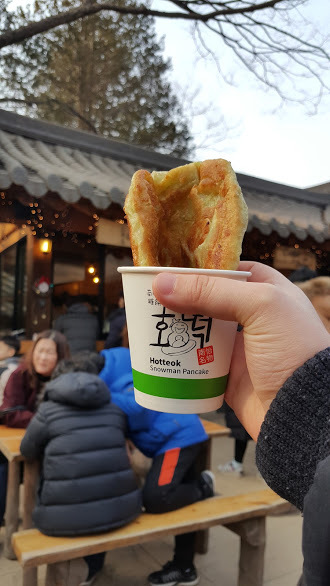 Hotteok (Korean pancake), 1,500 won (RM5.50) one of the most popular snacks during winter. 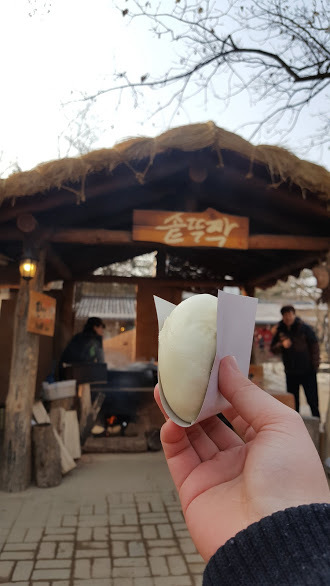 It’s hot and sweet. 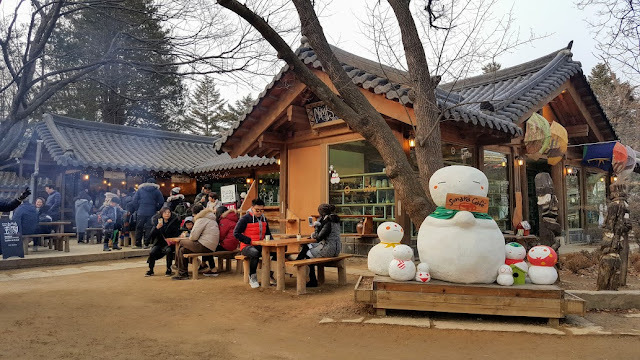 We had well spent our weekend skiing at Elysian Gangchin Ski Resort and exploring Nami Island. Korea is getting colder these days but rather than wrapping yourself in a blanket and staying in your house, walking around to enjoy the winter activities definitely will give you a different winter experience. So, embrace the cold and explore this winter with Trazy.com. With everything is taken care ahead of the schedule, we travelled without the bunch of hassles and simply enjoyed every activity that is provided. 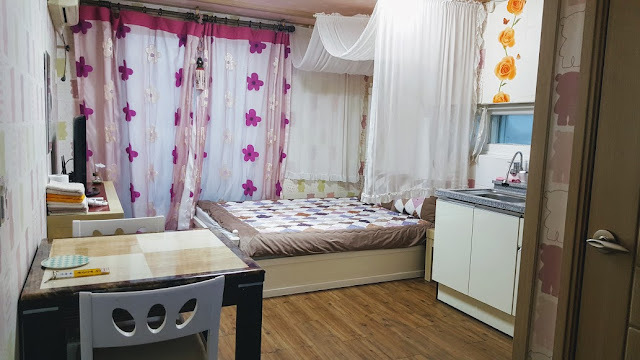 This trip is sponsored by Trazy.com, an English friendly booking website offers various travel packages. For more information, or book Elysian & Nami Island package, visit here.